Cook pasta to desired doneness as directed on package, adding ham during last minute of cooking time. Drain; place in serving bowl. Meanwhile, in small bowl, combine whipping cream and mustard; blend well. 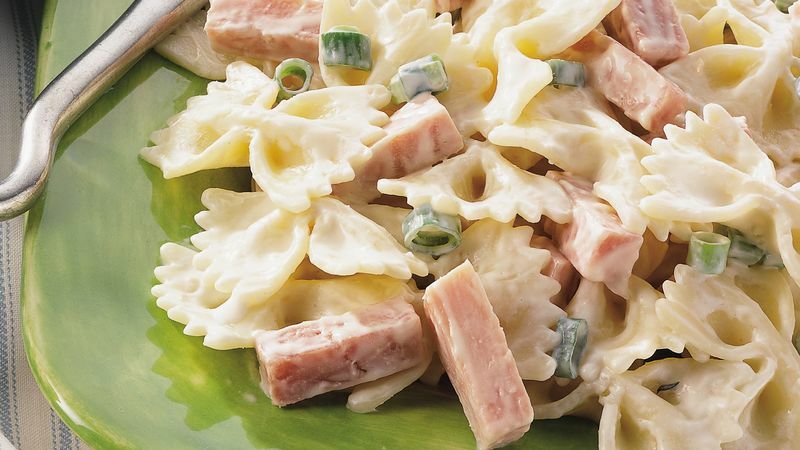 Add cream mixture and onions to cooked pasta and ham; toss gently to coat.